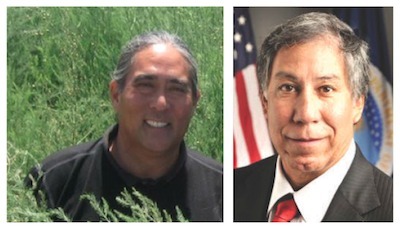 (Riverside, CA) – Edward Avalos, USDA Under Secretary for Marketing and Regulatory Programs, and Arthur “A.G.” Kawamura, former Secretary of the California Department of Food and Agriculture, have been added as featured speakers for the 2nd Annual GrowRIVERSIDE Conference: The Future of Local Food, conference organizers announced today. The inclusion of these nationally known experts intensifies an already strong line-up of sustainable urban agriculture experts, city planners, farmers and others slated to speak at the June 11-13 event. Presented by Seedstock in partnership with the City of Riverside, the conference fosters the growth of a sustainable local food and agriculture system that directly benefits Riverside as well as provides blueprints that communities across the country can utilize, officials said. Avalos and Kawamura join Mark Winne, a nationally recognized expert in community food policy and systems, as conference featured speakers. Avalos has more than 30 years experience in agriculture marketing in both the domestic and international arenas. In his capacity as Under Secretary, Avalos provides leadership and oversight for the Animal and Plant Health Inspection Service, which addresses animal and plant pests and diseases; the Agricultural Marketing Service, which provides standardization testing and marketing of commodities and specialty crops; and the Grain Inspection, Packers and Stockyards Administration, which promotes marketing of livestock, cereals and meats, as well as fair trade practices. A third generation fruit and vegetable grower from Orange County, Kawamura is co-chair of Solutions From the Land Dialogue, a United Nations Foundation funded project developing a sustainable roadmap for 21st century agricultural systems. He currently serves on several boards and committees, including: the Agricultural Advisory Committee of the AGree Initiative; the Board on Agriculture and Natural Resources (BANR); Ag Advisory Committee for the Chicago Council on Global Affairs; Trustee for the Council on Agriculture, Science and Technology (CAST); American Farmland Trust; and, the 25x’25 Alliance, a national coalition of renewable energy stakeholders. He is a former chair and current board member of Western Growers Association. Through his company, Orange County Produce, LLC, Kawamura is engaged in building an exciting, interactive 100-acre urban agricultural showcase at the Orange County Great Park in Irvine, California. The multi-day conference program will explore a myriad of topics via plenary discussions and breakout sessions. Presentations will address increasing local sustainable food production using economically viable urban farming business models and innovative growing technologies; creating new farming enterprises and food businesses; investigating various local food sales channels; and, food policy.